All these years later, the antics of Buddy still makes us laugh. Buddy was one of the smartest dogs I’ve met. Sort of freaky smart. And very very kind. 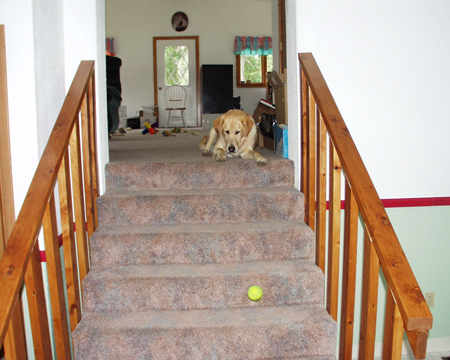 He was so smart that he trained us to toss the ball back to him when he would make it bounce down the stairs. He was extremely accurate and fast about catching the tosses. He also trained us to find him in the game of hide & seek. He would set the ball for us to find, then dash behind a tree and watch. 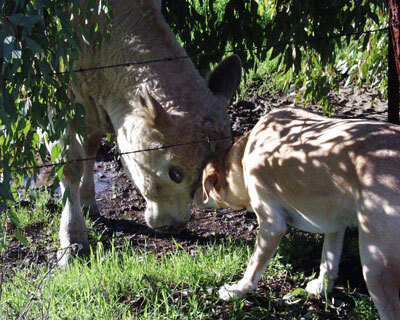 He introduced himself to the neighbors cow and they became friends. He loved to swim. 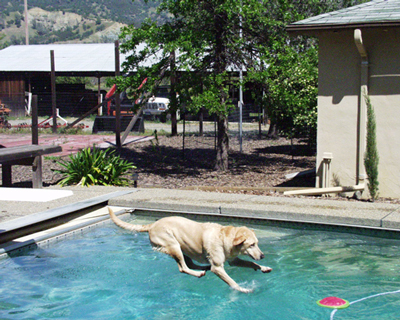 And he LOVED to jump off the diving board to fetch his frisbee. In the shallow end, he would stand on his hind legs, and sometimes push the frisbee down under the water so he could make bubbles. ReUse or Reduce. Recycle should be the last option. For toothbrushes, consider Bamboo (which is often less expensive than the plastic! ), or Preserve brand (check Amazon. These are recycled toothbrushes). This is our World, and how we treat it matters. Fruit … everyone knows what fruit is, right? Or … do they? And vegetables. What are they. I was very surprised to learn there is a difference between botanical fruit and culinary fruit. Squash, bell peppers, green beans … those are all botanical fruit. So when I say my body will only tolerate ‘fruit’, I mean botanical. I sure would like to eat broccoli again some day. There are so many reasons to adopt a Vegan lifestyle. Ultimately, it is about ethical living. When we hear the word Pagan, we oft times associate it with Satanism along with people in robes chanting in a circle by candle light (or maybe I’ve watched too many horror films) but any way today it is my pleasure to bring you a few fun facts about Paganism, which you can use to amaze your friends or maybe even help win a pub quiz one evening. I joke of course, I present these facts here because I believe that only through knowledge can we come to further respect and understand each other. In that spirit, let us proceed. 1. 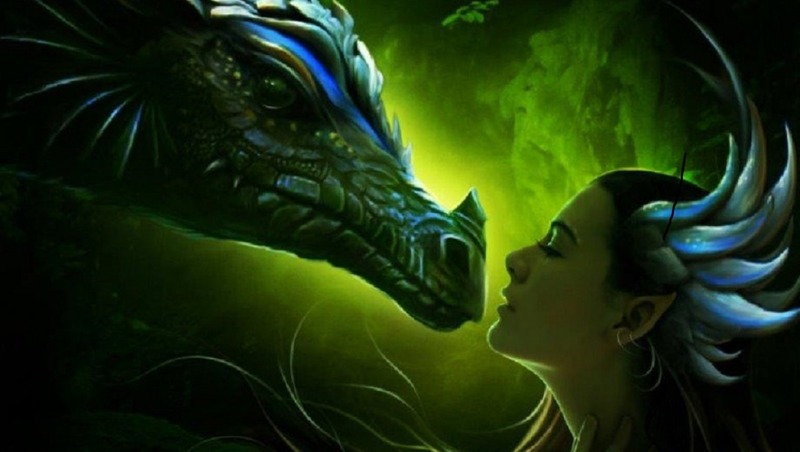 Paganism includes all earth-based religions and involves a huge diversity of beliefs. Pagan literally translates to one who dwells upon the Earth, which really if you think about it, is all of us. 2. Witches are pagan, but not all pagans are witches. That’s because Paganism is the umbrella term of all the earth-based religions of the world. 3. Pagans don’t believe in the Christian version of god, but Christian mythologies borrow heavy from the Pagan experience, which predated Christianity. 4. Pagans do not believe in the Devil or Satan. That concept originated with Christianity. 5. Pagans are not Satanists. Satanism was born out of a response to Christianity. It has nothing to do with the Pagan mythologies that predate Christianity. 6. Pagans don’t sacrifice animals or humans. In ancient times, all religions, including Christianity, practiced rites of sacrifice. Today’s Pagans left that part of their ancient belief system in the past because we now understand that honoring life is where it’s at. 7. Holidays come from the Pagan’s holy days, and many of our favorite holidays, like Christmas, Easter and Halloween, are borrowed from Pagan mythologies. 8. Pagans don’t hate Jesus, but they don’t worship him either. Most think he was a good man who tried to make the world he lived in a better place, but Pagans do not see him as a god. 9. For Pagans, magic and spell casting are the acts of focused prayer with intention. 10. Pagans are a peaceful people who prefer to practice their religious ideologies outdoors in Nature closer to the Earth they love.